The Flyway Festival is Coming! The San Francisco Bay Flyway Festival is an annual celebration of the return of shore-birds, waterfowl, hawks, and songbirds to the our area. The free event focuses on the ecosystem we live in and the wildlife that inhabits it. There will be exhibits and interactive activities provided by more than 75 nature and kid-oriented organizations. Slide shows, commercial art, bird suppliers, digital equipment and optics vendors, live raptor show, and more will be present as well, along with a silent auction, raffle, and good food. 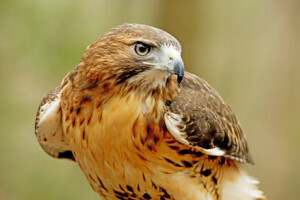 Bird walks, nature hikes and more will be offered throughout the weekend. 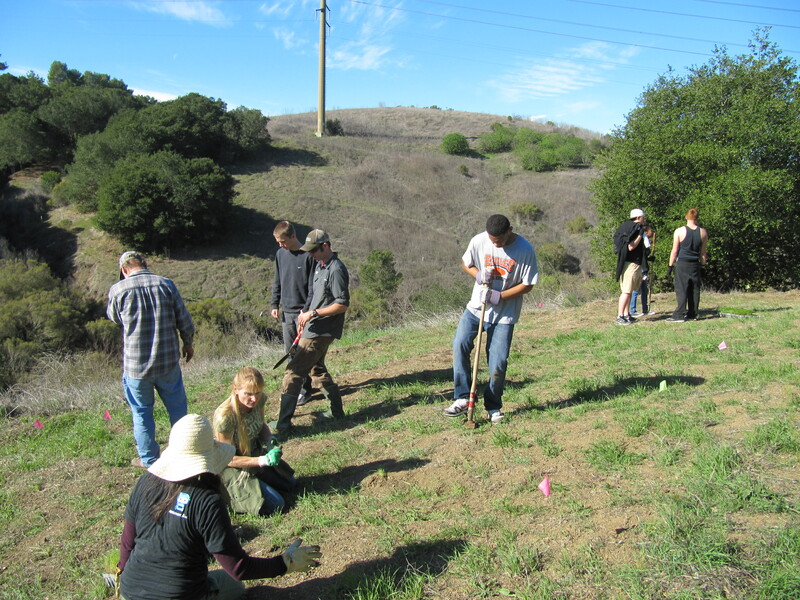 The Vallejo Watershed Alliance is looking for volunteers. Shifts will be split into 2-hour shifts from 9:00 a.m. to 4:00 p.m. both days. This is a rain or shine event, hosted at Building 253, 575 Connolly Street on Mare Island. To volunteer for a shift at the Alliance table, please email info@VallejoWatershedAlliance.org. The Flyway Festival needs volunteers too! For more information, visit www.SFBayFlywayFestival.com. 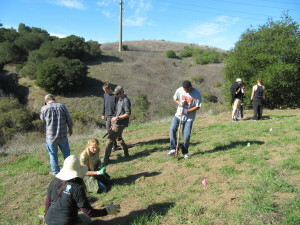 Volunteers plant native trees in Hanns Park. 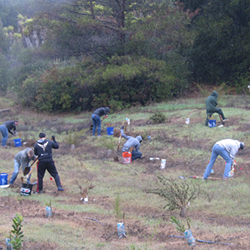 Thank you so much to the 28 volunteers who braved the rain to plant native grass plugs, shrubs, and trees in Hanns Park on January 16. A day of service indeed! The Vallejo Times-Herald covered the event … click here to read the story.